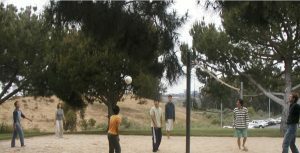 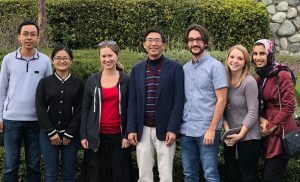 HESP Lab members (2016-present): Sahara George (lab manager); Phillip Tran, Shuping Sun (post-docs or research associates); Matthew Richardson, Katie Turner, Yucheng Xu (doctoral students); Omid Moshtaghi, Neal Saez, Neslihan Yildiz (medical students); Bahman Adlou, Hengji Chen, Nora Mohammad, Selena Saromo, Chelsea Su (undergraduate students). HESP Lab members (2012-2016): Sahara George (lab manager); Tom Lu, Na Gao, Monica Wu, Xianhao Jia, Fiona Li (post-docs or research associates); Carol Pham, Jamal Alsamri, Matthew Richardson, Katie Turner (doctoral students); Janice Hsu, Ellen Uyeda, Jessica Ju (undergraduate students). 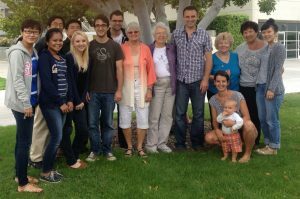 HESP Lab members (2008-2012): Katherine Olsen (lab manager); Myles McLoughlin, Weidong Shen, Dustin Zhang, Kelly Reavis, Tom Lu, Essie Fine (post-docs or research associates); Janice Chang, Hsin-I Yang, Payton Lin, Dwight Wynne, Ziyan Zhu (doctoral students); Grace Hunter (lab manager in 2010), Stephanie Gonzales (lab manager in 2011), Matthew Chang, Jean Hwang, Ling Kong, Ted Lim, Calvin Song (undergraduate students); Geoffrey Gao, Emily Gao, Haotian Xu, Alison Kaufman, Jennifer Nobe, Yenton Lin, Yohannes Assefa, and Alex Yao (high school students or summer interns). HESP Lab members (2004-2008): Abby Copeland (lab manager); Raul Benitez, Vanessa Rothholtz, Tom Lu, Juan Huang, Ben Sheffield (post-docs or research associates); Qing Tang, Helen Cullington, Aparajita Bhattacharya, Tiffany Chua, Ed Wu (doctoral students); Martin Massala, Jay Shaw, Aaron Tea, Hooman Samani, John Bai (master students); Stephanie Tiaden, Sara Ghazi, Sonya Singh, Tricia Gorman, Rola Khedraki, Jonathan Mundy, Jenn Yuan (undergraduate students); Christina Chen, Ben Dong, Jennifer Hassen, Ariadna Ortiz, Angela Cruz, Mweda Mpanda, and Jasmin Nourblin (high school students or summer interns). 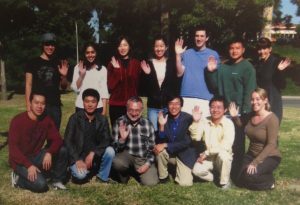 HESP Lab members (2000-2004): Kaibao Nie, Ginger Stickney, Michelle McGuire, Ackland Jones, (postdocs or research associates); Ying-Yee Kong, Hongbin Chen, Sheng Liu, Jeff Carroll, Shidad Benhnam, Nate DeNicola (doctoral students); Jeremy Liu (master student); Elsa Del Rio, Sheetal Desai, Yumi Ishihara, Star Lopez, Michael Vongphoe (undergraduate students); Charlotte Guo, Jack Wong, Neil Biswas, Darren Kwon and Janice Chang (high school students or summer interns).